The goal of the 2-year project is to present language as a device for creating reality in a selected types of communicative situations and texts. The research topic is examined in the following particular topics: 1) constructing Old Czech language (in the sense ‘pretending to be authentic’) in the modern fiction, films and marketing texts, 2) thematization (in the way of etymologization, interpretation, re-semantization) of proper names in the fiction (novel, travel writing) and opinion-journalism (political speeches). 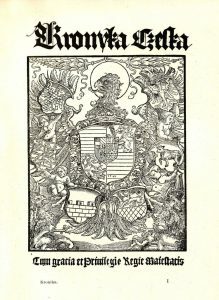 The project examines the original topics that have not been elaborated in Czech linguistics yet; the analysis is based on varied texts of different genres. The project follows up the previous SGS project Application of Neural Networks in Diachronic and Synchronic Semantic Analysis of Texts. The first analysis showed that there is a convincing potential of this approach. The main goal is to extend the functionality of the developed software and to discover the possible applications of the proposed method in linguistic research. Specifically, with our method we can measure the Context specificity of lemma (CSL). This method is based on the Word2vec technique and measures the degree of the context specificity of a lemma. The project focuses on the development of the word order of Czech pronominal (en)clitics mi, si, ti; ho, mu, sě, tě. 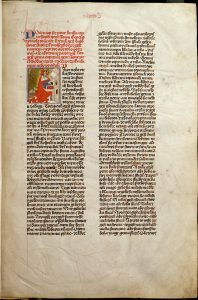 The analysis is based on representative parts of Old and Middle Czech Bibles (created in the 14th–18th centuries). The word order of pronominal (en)clitics is investigated: 1. in the phrase of finite verb, 2. in the infinitive, participle, (deverbative) adjective, and (deverbative) substantive phrase. The research deals especially with the competition between the second position and the contact (verb adjacent) position of the (en)clitics, with the (en)clitic cluster, with the change of originally orthotonic pronominal forms ho, mu, sě, tě to “constant” (en)clitics and with the proclitization of pronominal (en)clitics. The project methodology draws on the tradition of Czech dependency and functional syntax. As the analysis of historical development of (en)clitics is also based on frequency characteristics of the observed phenomena, methods of quantitative linguistics are used for a further interpretation of the data. The aim of the project is to apply the contemporary methods based on neural networks in textology. 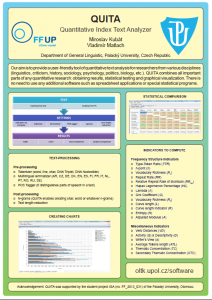 Semantic changes in a Czech corpus are analyzed from synchronic and diachronic viewpoints. More specifically, (a) we examine the development of the political and social discourse from 1990 to 2014, and (b) we investigate the effectiveness of this method for genre classification. The project reflects the research topics of the Department of Czech Language (quantitative linguistics) and the Institute for Research and Applications of Fuzzy Modeling of the University of Ostrava (neural networks). 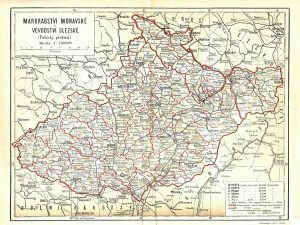 The project is aimed at research of current place names, their knowledge and usage in particular localities of Moravia and Silesia (Čeladná, Dolní Údolí, Horní Údolí, Karlova Studánka, Libavá, Ostrava-Poruba, Ostrava-Svinov, Ostrava-Třebovice, Ostravice, Rejvíz, Rusava; the industrial regions of Karviná and Ostrava). The research is realized in localities with specific demographic, historical and social developments during the 20th century. In the course of the project, new approaches and concepts are applied to place names – e.g., linguistic landscape, new regionalism, place branding, and place marketing. 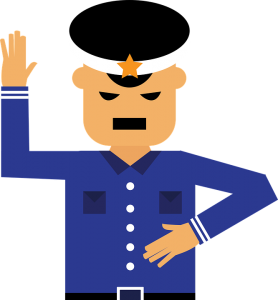 The project is aimed at spoken language of Czech policemen (Policie ČR), predominantly on vocabulary of their professional slang. The research was based on a field survey mostly realized among the elite police forces. The emphasis was also put on the cryptic function of their communication. The project was aimed at research of place names in localities that were demolished or are in danger due to human activity, predominantly coal mining and building large plants. There are the localities of Most and Karviná (coal mining); Staré Hamry, Nové Heřminovy (dam building); Ostrava-Hrušov (a locality in decay caused by a flood). Outputs of this project include several articles, chapters in collections of studies, and also an exhibition presentation. The project was focused on the specificity of communication – predominantly of vocabulary – used within a subculture of users, distributors and producers of illegal drugs. This addresses two key goals. Firstly, it aims to offer readers the largest possible collection of original, previously unpublished, authentic, contemporary linguistic material taken from the communication of users, distributors, and producers of illegal drugs. Secondly, it aims to determine whether the members of the drug subculture attempt to conceal meanings in their communication by using specific vocabulary. The research also examines the word-formation processes that are active in certain specific expressions – especially those related to the production of methamphetamine – and traces the development of and the situation with regard to illegal drug use in the Czech Republic. The outputs of this project include the book Mluva uživatelů a výrobců drog (Language Used by Drug Users and Producers; written with Jana Rausová) and several articles and conference papers. The research was based on a field survey realized within a subculture of Czech users, distributors and producers of illegal drugs. The project was the first step to gain a language material for further analysis aimed predominantly at slang vocabulary. The inal outputs of this project include the book Mluva uživatelů a výrobců drog (Language Used by Drug Users and Producers; wriiten with Jana Rausová) and several articles and conference papers. Quantitative Index Text Analyzer (QUITA) covers the most common indicators, especially those connected with frequency structure of a text. In addition to computing results of the indicators, QUITA also provides statistical testing and graphical visualization of obtained data. QUITA is a versatile tool with many uses designed for researchers from various disciplines (linguistics, literary criticism, history, sociology, psychology, politics, biology, etc.). The programme enables basic text processing functions – such as creating word lists, text lemmatizing, or creating n-grams. The program also provides more advanced tools, such as a random text creator or a binary file translator. However, the main part of the software is an indicator computing. Although the authors focused mainly on the indicators connected to frequency structure of a text (e.g., h-point, entropy, repeat rate, adjusted modulus, Gini’s coefficient, lambda), there are also several other characteristics, such as thematic concentration, activity & descriptivity, or writer’s view. More information about the software is to be found in the book QUITA – Quantitative Index Text Analyzer and in the diploma thesis Kvantitativně lingvistický software. Place Names as a Significant Component of Cultural Heritage and an Important Source of Local, Regional, and National Identity. Preparing Guidelines for the Preservation of Place Names. The goal of this project was to contribute to the preservation of place names as significant components of cultural heritage and important sources of local, regional, and national identity. The way to this goal included the preparation of certified guidelines for the preservation and presentation of place names to be used by town and village authorities and other institutions (schools, museums, libraries, archives, etc. ), the exhibitions (the cities of Ostrava and Havířov), and the preparation of maps and cartographic guidelines for place names. Further outputs of this project included the book Názvy míst. Paměť, identita, kulturní dědictví (Place Names. 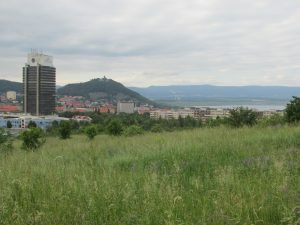 Memory, Identity, Cultural Heritage), several articles and conference papers, and the database Názvy míst (Place Names) collecting popular place names forms. The project Historical Semantics focused on historical/diachronic semantics. Fortunately, Czech historical semantics has an existing scholarly methodology for lexical analysis, and the medieval period has been studied in depth. However, the 19th century and the modern era have not received any systematic study. 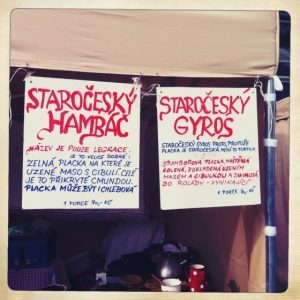 The semantic changes in Modern Czech are illustrated not only with an analysis of the material in dictionaries, thesauruses, and newspapers (e.g., texts by Karel Čapek, Ladislav Jehlička, Jaroslav Durych, New Year’s presidential speeches, etc. ), but also includes the language material in the Czech National Corpus. The research into historical semantics in modern times – known as Begriffsgeschichte, History of Concepts, Political Semantics, and Critical Discourse Analysis – emanates from an interdisciplinary approach to semantics and lexis. 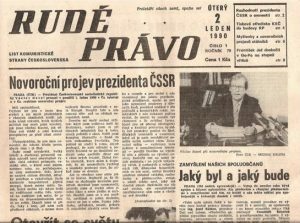 The outputs of this project include the book Slovo a text v historickém kontextu (Words nad Texts in Historical Contexts), and several articles and conference papers. The project focuses on the analysis of components of high and low transitivity and the relationship among them. The emergent grammar approach is adopted for an inquiry of transitivity. 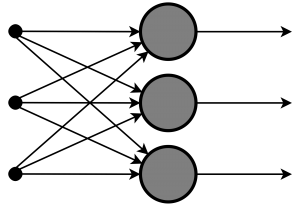 In the framework of emergent grammar, transitivity is viewed as a matter of the grammar of the entire clause, and it comprises the component parameters which are displayed in morphosyntax or semantics. The analysis will cover the texts stored in the Czech National Corpus. The goal of the project is a more precise recognition of transitivity in general – both of its inner structure (the relationship among its components), and of the transitivity and its components dependence on grammar-external factors (language form, types of texts, etc.). The project will also deal with the possibilities of using the findings in mother tongue teaching. The results of the research will be published in linguistic journals and presented at conferences. The project was aimed at several issues reflecting the usage of folk/popular etymology in proper names presentation, predominatly in place names presentation – e.g., popular etymology used as a rhetorical figure, its usage in political discourse and fiction, etc. The outputs of this project include several articles and conference papers. The research project topic was also elaborated in the specialized chapters of books Neviditelní svědkové minulosti. Místní a pomístní jména na Vysočině (Invisible Witnesses of the Past. Official and Unofficial Place Names in the Vysočina Region) and Smrdov, Brežněves a Rychlonožkova ulice. Kapitoly z moderní české toponymie (Smrdov, Brežněves, and Rychlonožka Street. Chapters from Modern Czech Toponymy). Copyright © 2019 Department of Czech Language. All rights reserved.